Less than two weeks ago, Illinois Attorney General Candidate Paul Schimpf released the first (or 14th) of 14 "reasons to Trust a Retired Marine for AG in 2014". 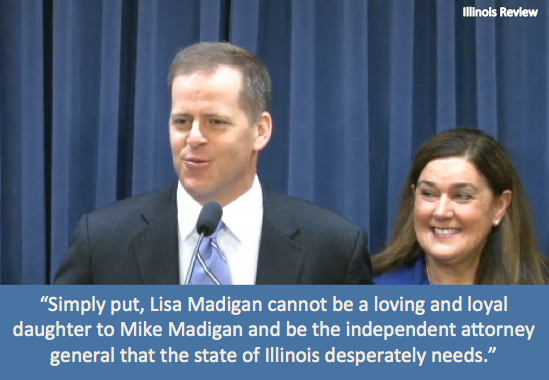 We covered that announcement here on the Illinois Truth Team. Today, the Schimpf campaign is releasing their 2nd reason (or #13 if you're counting like David Letterman!) and it is that Paul Schimpf, unlike our current Attorney General, will work to ensure that pension reform complies with the provisions of the Illinois Constitution.